While they may be more famous for their casino and poker products, 888 actually offer quite a sports betting platform as well. Licensed by the Gibraltar Government and founded in 1997, the 888 Sports has become one of the major players in the sports betting industry. In the more recent years, 888 Sports have begun taking bets on eSports, which is a completely new field for them. eSports betting is, in fact, new to most bookmakers and the fledgling industry is currently expanding at an astronomical rate. 888 decided to be there from the beginnings and while they will still need to improve in many ways, the 888 eSports platform is now a fully operating one, ready to take your eSports bets. 888 Sports have never been known for offering a very wide selection of sporting events, and they have kept consistent in that way with eSports. 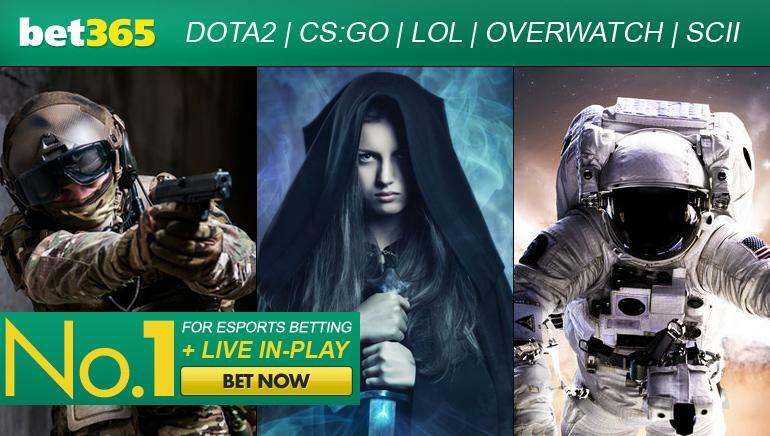 While many bookmakers are currently offering up to 10 different eSports at a time, 888 eSports only offers Dota 2, League Of Legends, Counter Strike: Global Offensive and Starcraft II betting. While these are certainly the most popular of eSports and the tournament coverage at 888 eSports is quite solid, we would love to see some other eSports such as Overwatch, World Of Tanks or Call Of Duty added to the list in near future. The lack of markets is another major issue. Currently, most eSports matches only offer two or three main markets, including a straight up money line and a handicap or other simple market. The more intricate markets are not offered at all and this is certainly one place where 888 will have to do better to gain more eSports followers as customers. 888 is a rewarding sports betting platform to bet with. New eSports customers will be awarded with triple odds on the first bet they make, while additional promotions and bonuses are issued on a regular basis for eSports and other sports alike. This large amount of promotions can be claimed by making deposits into the sports wallet through a wide range of methods. Whether you prefer banking with your credit card, e-wallets like Paypal or Skrill or prepaid methods like Paysafecard, the 888 eSports platform will take your deposits and allow you cashouts with no major issues. The cashouts from 888 are fast and you can expect to never have your money stuck in there for an extended period of time. Additionally, the bookmaker has always been famous for not making any trouble for players with bonuses and free bets and always doing what is right by the players. 888 customer support department is available for all eSports betting customers 24/7 through one method or another. The customer service receives emails at any time of day or night and you can expect very timely replies to these. A telephone number is also available for your use from 9am to 10pm, while a live chat option is unfortunately not currently offered. While it is a bit strange such a big sportsbook does not offer live chat, the other support methods should be more than sufficient for most customer inquiries and you should have no problem getting your issues solved within a very short period of time. While 888 Sports is one of the world’s premiere sportsbooks, when it comes to eSports, the bookie is still behind the competition. A very limited number of eSports offered in combination with an even poorer choice of betting markets leaves 888 eSports trailing the competition. While the banking and customer support departments of the bookmaker are state of the art, there is a sufficient number of promotions available and the odds offered for eSports events are very reasonable, the things that the bookie lacks in terms of eSports cannot be forgotten. It is likely that 888 will be adding quite a few things to their eSports offering in the near future however, and being there from the start is the best way to keep in the loop. While the current offering for eSports bettors is somewhat limited, the future surely holds great things for 888 eSports betting platform.